Transceiver Modules are hot-swappable devices, which combine the functions of a transmitter and receiver into a single device. Our Cisco transceiver modules have been specifically designed to work with Cisco devices, and as such our compatible transceiver modules are guaranteed to be 100% compatible. Cisco Transceiver Modules will provide you greater flexibility in your network design, and are available in various form factors (GBIC, SFP, XFP, XENPAK, X2) to suit the module slots on your specific device. 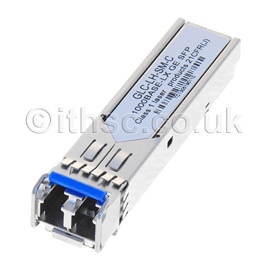 The hot-swappable element allows you to change transceiver modules, without the need to turn off the power to your device; for example you could change to a Cisco transceiver module with a different optical wavelength, or from one which supports copper wire to support for optical fibre if required. Transceiver modules support different data rates, from 100Base (100 Mbit/s), up to the most recent 100GBase (100 Gbit/s). 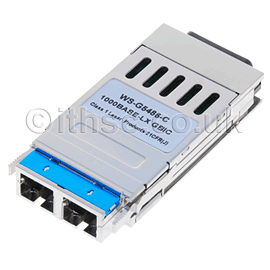 Transceiver modules are also available for different types of cabling such as cat 5 copper, and different grades of optical fibres. For more information on transceiver modules please see our FAQ. If you are interested in Cisco original transceiver modules please contact us and one of the team will get back to you shortly.